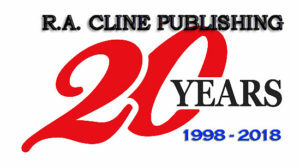 “MEDITERRANEAN MANEUVER” By Robert J. Szilagye and Stanley C. Monroe. (Fiction) Threshold—a secret weapon so powerful it could paralyze a nation’s warning system, leaving it utterly vulnerable to nuclear strike. And the Russians had it. The old defense: steal the key to it—with the help of a daring covert agent, a curvaceous electronics expert, and a pair of Russian aces who might or might not be willing to defect… to break out of Soviet air-space and land their stolen Foxbat on the deck of an aging American aircraft carrier perilously positioned in dangerous waters. It was an operation that called for crack men and superior equipment, but the USS Coral Sea was slated for the scrapheap, had a skeleton crew—and no backup. 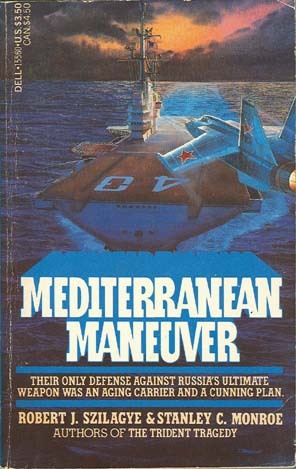 Suddenly, the fate of the free world hung on a handful of brave men, a lone fighting ship, and the desperate last-chance strategy of the “Mediterranean Maneuver.” 1984 Paperback edition. 287 pages, no photos, maps or index.